A Roth IRA Tax Credit: Is There One? 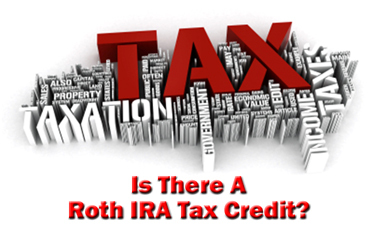 Is There A Roth IRA Tax Credit? Even though Roth IRA contributions are non-deductible, you can take advantage of a tax credit for as much as 50% of the first $2,000 of your annual Roth IRA contributions. So how much of a tax credit can you claim? Are you even eligible? And, if so, how do you claim the Roth tax credit? Lucky for you, all the answers are listed below. How Much Is The Roth IRA Tax Credit? So how much is the Roth IRA tax credit? Assuming you're eligible to receive the credit, it all depends on your adjusted gross income (AGI). If you meet the lower income limit (to qualify for the highest percentage tax credit), you can claim up to 50% of the first $2,000 in Roth IRA contributions. That's a $1,000! However, the tax credit ranges between 50%, 20%, and 10% based on where your income falls on a sliding scale. Unfortunately, if your adjusted gross income exceeds the limit for taking advantage of the 10% Roth IRA tax credit, then you earn too much to qualify for any type of tax credit for your Roth IRA contributions. First off, only Roth IRA contributions made in the current tax year are eligible. In other words, you can't claim contributions made in past years to a Traditional IRA which you converted a Roth IRA in the current tax year. The portion of the Roth IRA tax credit you can claim if you earn less than the guideline above are outlined in the first section of this page titled How Much Is the Roth IRA Tax Credit? So, if your adjusted gross income exceeds the thresholds provided above, you're ineligible to claim a Roth IRA tax credit. However, even if you meet the income requirements, it still may be too early in the process to claim your Roth IRA tax credit. Because you need to make sure you meet three additional requirements to remain eligible. If any of the situations above describes you, then you're ineligible to claim a Roth IRA tax credit. 1) Turned 18 After December 31st - What does it mean to turn 18 years old after December 31st of the tax year? It means your 18th birthday must be on or before December 31st of the tax year in which you make your Roth IRA contribution or you're ineligible for the tax credit. Let's say you make a Roth IRA contribution for the 2008 tax year. You're 17 years old when you make the contribution, but you turn 18 years old on December 30th, 2008. In this case, your age does NOT disqualify you from taking advantage of the Roth IRA tax credit, assuming you meet the other requirements. However, let's say instead of turning 18 on December 30th, 2008, you turn 18 on January 12th, 2009. 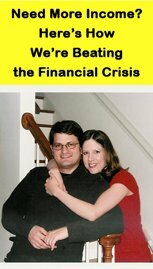 Do your 2008 Roth IRA contributions meet the eligibility requirements for the Roth IRA tax credit? Because you did not turn 18 by the end of the tax year for which you're taking the tax credit. That said, you ARE eligible to take the Roth IRA tax credit on contributions made during the 2009 tax year. Because you meet the requirement of being at least 18 years old by the end of the tax year. 2) You Can Be Claimed As Someone Else's Dependent - If someone else claims you as a dependent on their tax return for the tax year in which you made your Roth IRA contribution, you can NOT claim the Roth IRA tax credit. Let's say you're 19 years old. You work full-time and earn $20,000 per year, but still live at home with your parents. In fact, they claim you as a dependent on their tax return. Even though you meet the other Roth IRA tax credit eligibility requirements, the fact that someone else claims you as a dependent makes you ineligible for the tax credit. 3) You Were a Student - If you are a student for any part of 5 months during the tax year in which you make your Roth IRA contribution, then you're ineligible for the Roth IRA tax credit. What qualifies as a "student"? Then you're considered a student and ineligible for the Roth IRA tax credit. According to the IRS, a school includes technical, trade, and mechanical schools. It does NOT include on-the-job training courses, correspondence schools, or schools offering courses solely through the Internet. So now that you know the eligibility requirements, how do you claim the Roth IRA tax credit if you qualify? Simply fill out IRS Form 8880 and submit it along with your completed 1040 when you file your tax return. And remember, if you were eligible to claim the tax credit last year, but you didn't because you were unaware of its existence or you didn't realize you qualified, you can still take advantage of the tax credit by filing an amended tax return along with your completed IRS Form 8880. Unlike most retirement savings accounts, such as your Traditional IRA and your 401k, your Roth IRA must be funded with non-tax deductible contributions. But even though you can't deduct your Roth IRA contributions, you can receive a tax credit. If you meet the various requirements, you're eligible to receive as much as a 50% tax credit on your first $2,000 in Roth IRA contributions. So take the time to learn the rules, and if you qualify, take advantage of the Roth IRA tax credit!